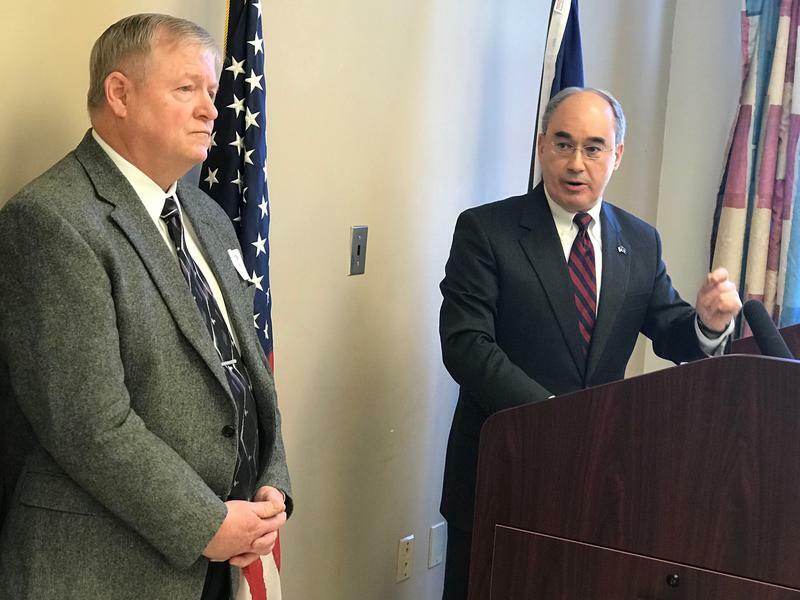 Maine's hospitals are making progress in collecting more than $42 million in outstanding payments from the U.S. Department of Veterans Affairs, but 2nd District Congressperson Bruce Poliquin said the government can do better. A four-year-old program that allows veterans to receive health care services closer to home is working well in Maine for the veterans, but not as well for hospitals. PORTLAND, Maine - Maine's two U.S. senators are introducing legislation to authorize leases for two dozen federal Department of Veterans Affairs medical facilities in 15 states. Republican Sen. Susan Collins and independent Sen. Angus King are submitting the legislation along with Sen. Mark Warner, a Virginia Democrat. The legislation would authorize 18 overdue leases from the last two fiscal years along with six facilities that need to be authorized in the upcoming fiscal year. PORTLAND, Maine - The Office of the Inspector General in the U.S. Department of Veterans Affairs says the VA Maine Healthcare System is linked to nationwide problems with mental health services for veterans. The office says in a report released on Wednesday that many veterans have not received mental health services or have waited long periods for the services because of problems such as inappropriate scheduling practices. WASHINGTON — Veterans Affairs Secretary Robert McDonald was peppered with questions from members of the Senate Appropriations committee on why it takes so long for the VA to respond to problems in the agency. U.S. Sen. Susan Collins of Maine says the VA has been reviewing rules that would allow respite care for veterans suffering from Alzheimer's or other dementia since 2008. "I really think this is something that should be finalized and should not have taken six years and still be pending," Collins said. "We agree and will get back to you," McDonald replied. AUGUSTA, Maine - A year after revelations that sick veterans were facing excessively long wait times for care at facilities run by the Veterans Affairs Administration - and that the VA was actively covering up those long wait times - some things have changed at the VA. But, nationwide, one of those things is not wait times. According to an Associated Press investigation released today, the number of patients facing long wait times hasn't dropped at all -- in fact, the number of appointments that take more than 90 days to set up has almost doubled. Congressional negotiations on a bill to reform the U.S. Department of Veterans Affairs, and address the myriad of problems in the agency, are at an impasse with the co-chairs of the conference committee blaming each other for delays. Meanwhile, Maine’s delegation is saying Congress should stay at work until the bill is passed.